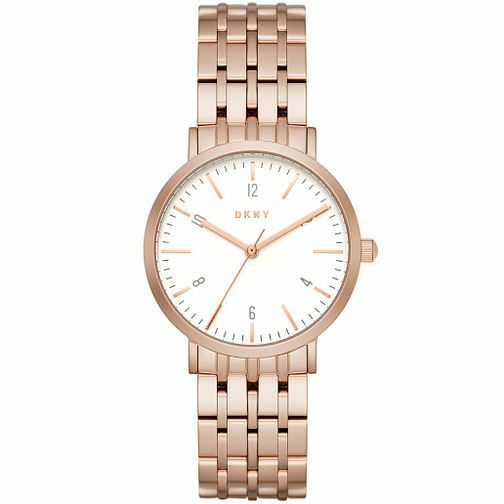 Add chic New York inspired style to your look with this stunning ladies' watch by DKNY. This elegant timepiece showcases a white toned dial and is finished with a chic rose gold plated case and bracelet strap for timeless style. DKNY is the spirit of New York: international, modern, fresh and real - from work to weekend, jeans to evening.